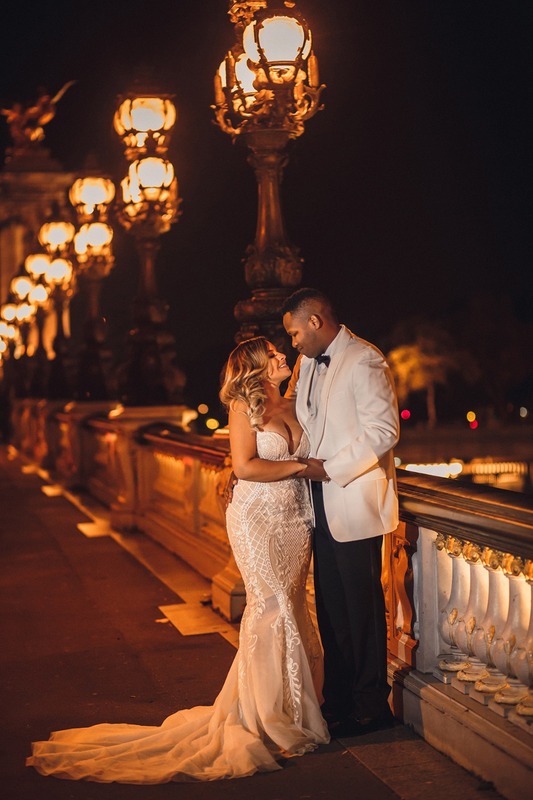 In case you didn't know...Paris has everything you need for an unforgettable wedding, and this next couple dreamed of celebrating their union in the city of love. 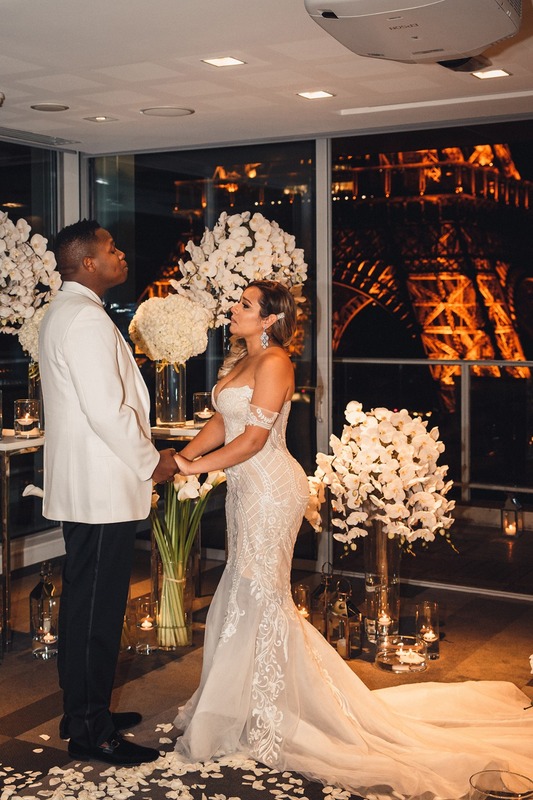 Their stylish all-white ceremony featured white florals and soft candlelight right next to the Eiffel Tower. Seriously, does it get more romantic than that? 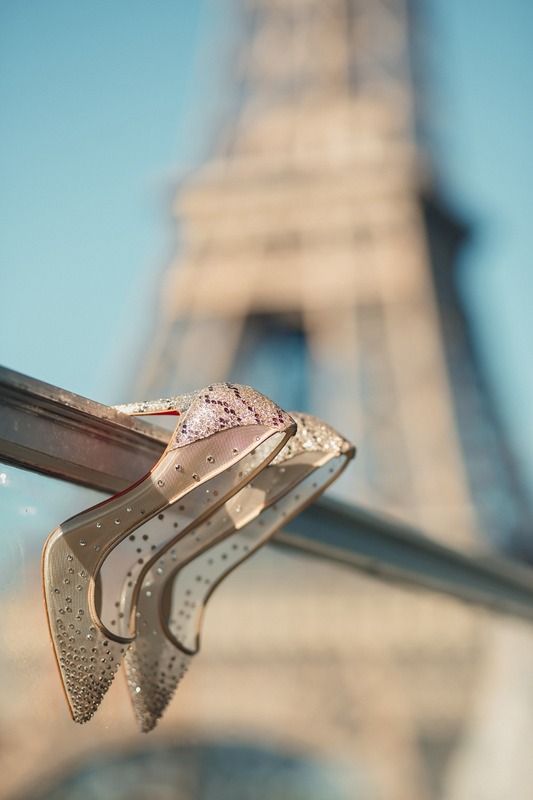 Well duh, it’s Paris! 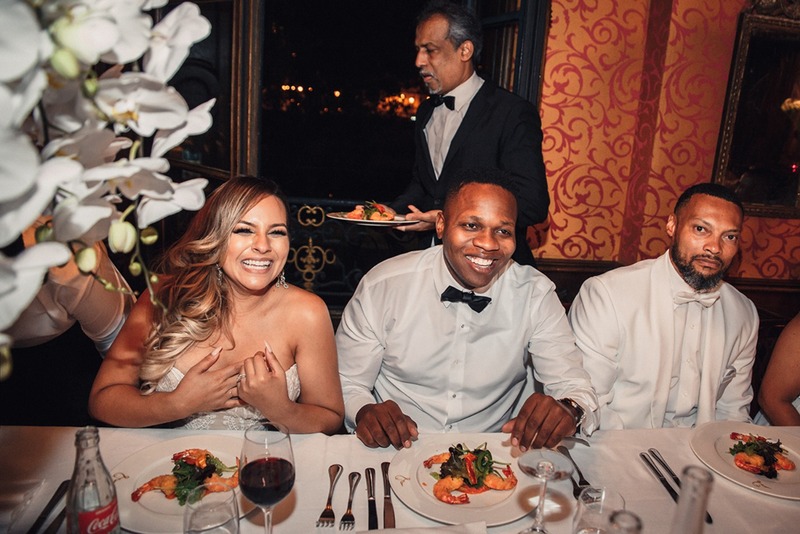 They cruised around in a classic black and white Rolls Royce, while their intimate reception took place at Lapérouse, the oldest restaurant in the city. 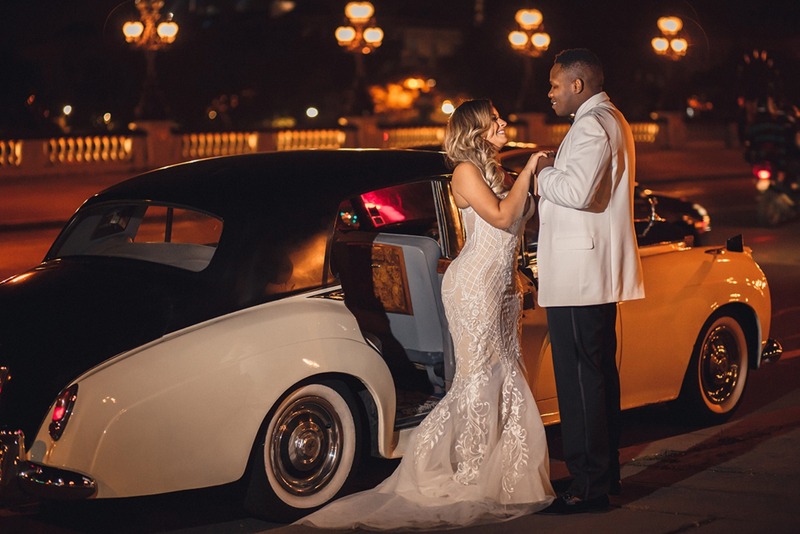 See it all + their wedding video below, then catch every last photo in the full gallery from Maria Tezikova. From CTH Events PARIS: What will be the new chapter of your life? Write it in Paris. 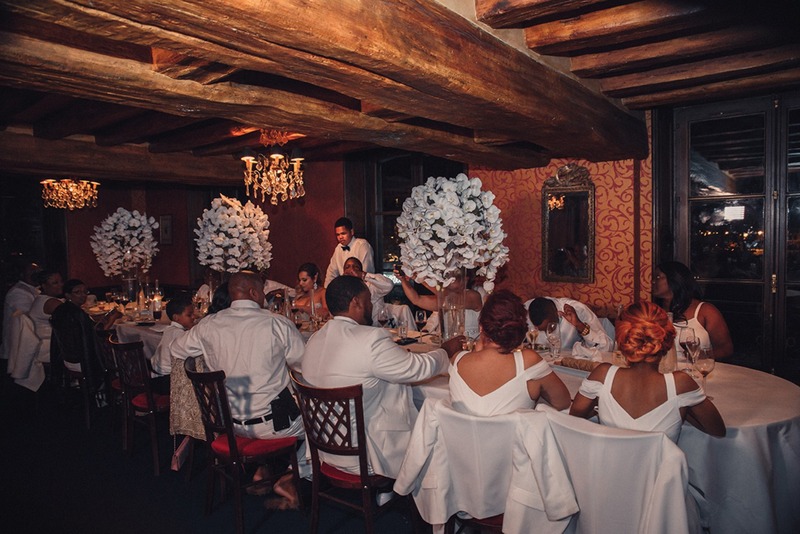 The romantic ceremony, kissing in front of the Eiffel Tower, dinner in the oldest restaurant in Paris, Paris has all the ingredients for an unforgettable wedding. 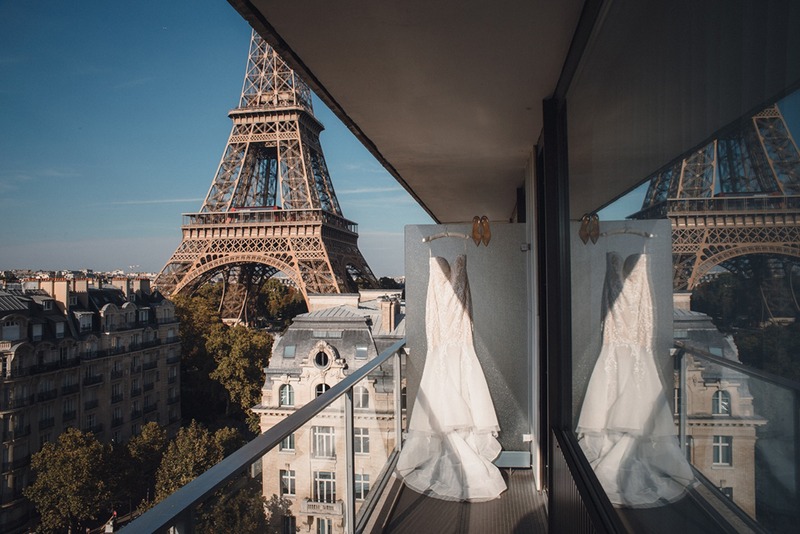 Nothing is more romantic than getting married in Paris. 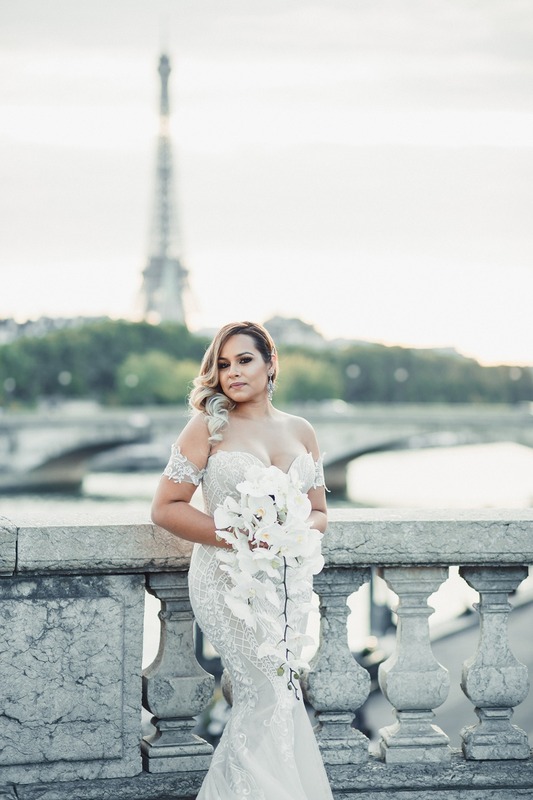 The bride, Delilah, had been to France twice before but had never shared the experience with her family. Her sons and fiancé have always wanted to visit. 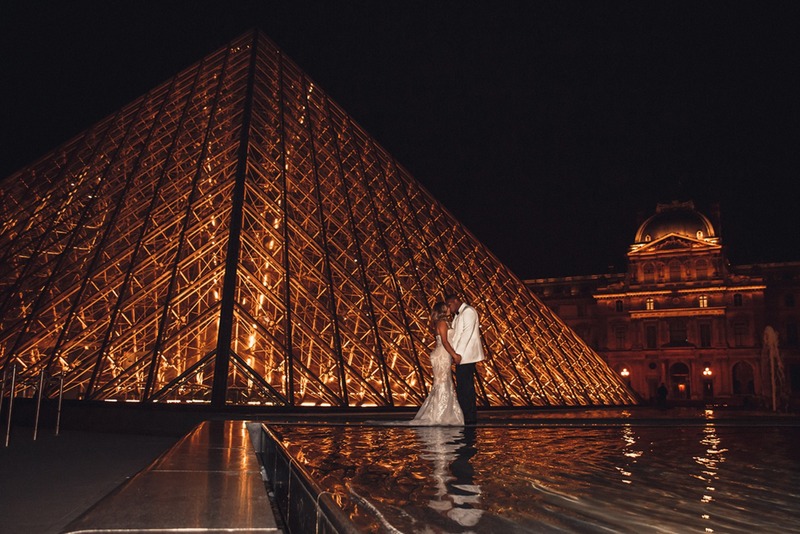 What better time to visit the city of love? 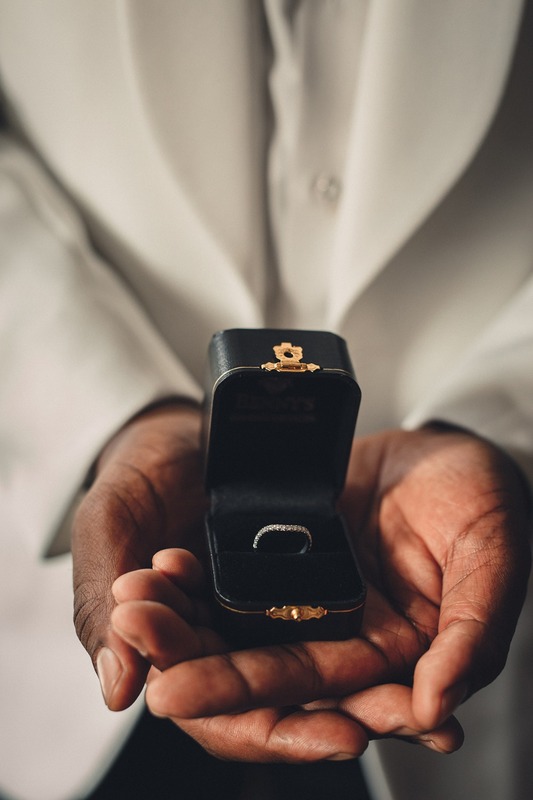 They wanted a heartfelt, funny, warm, and intimate ceremony. 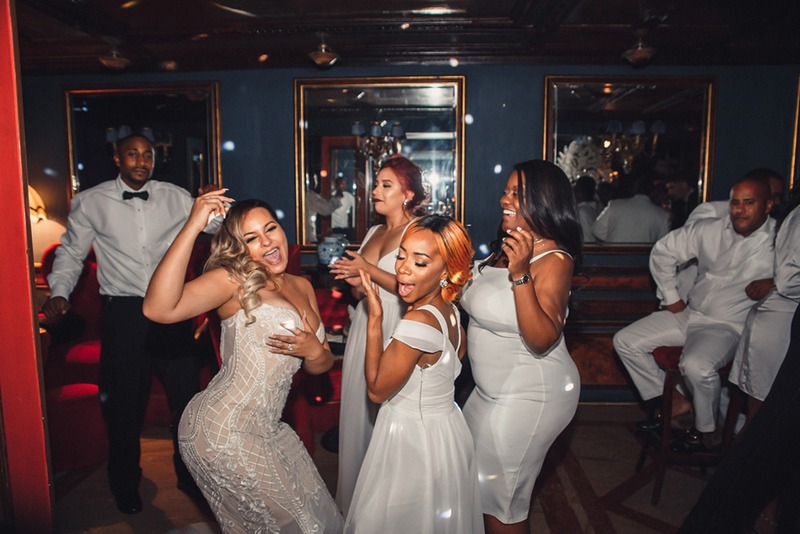 Chic, and elegant in all white. 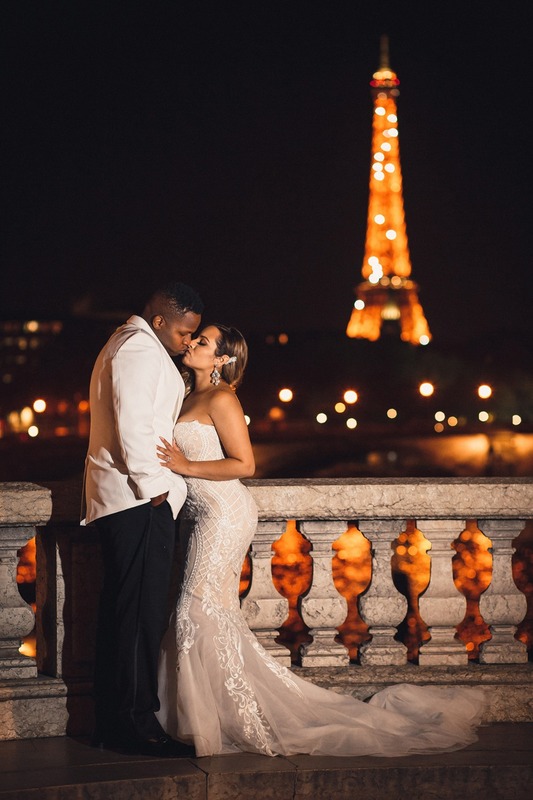 We designed the ceremony in front of the Eiffel Tower, and what could be more romantic? It was right in front, we could practically reach out and touch it. 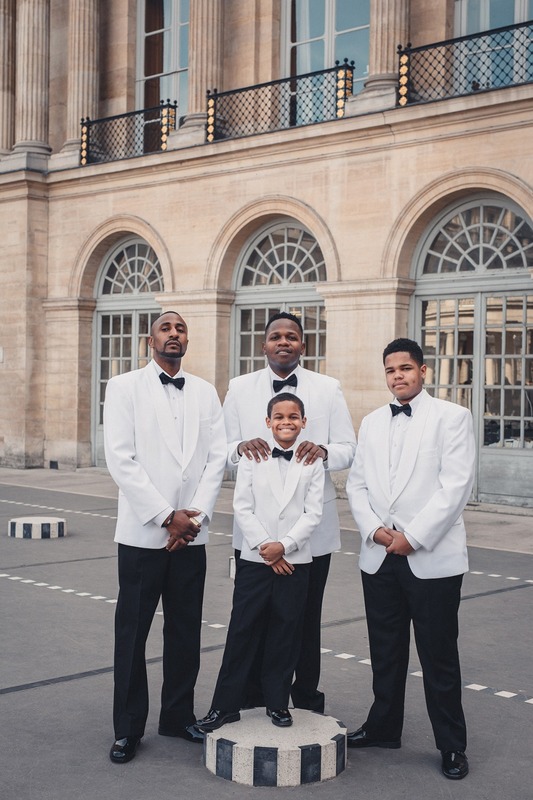 The luxurious venue overlooked all of Paris, right next to the iconic Parisian monument. 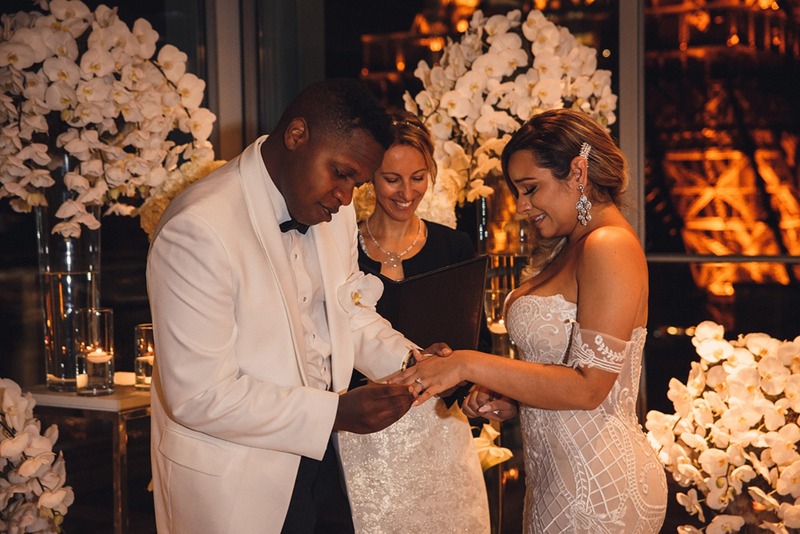 Champagne, flowers, candles, a path of rose petals, and acrylic chairs filled the ceremony space. 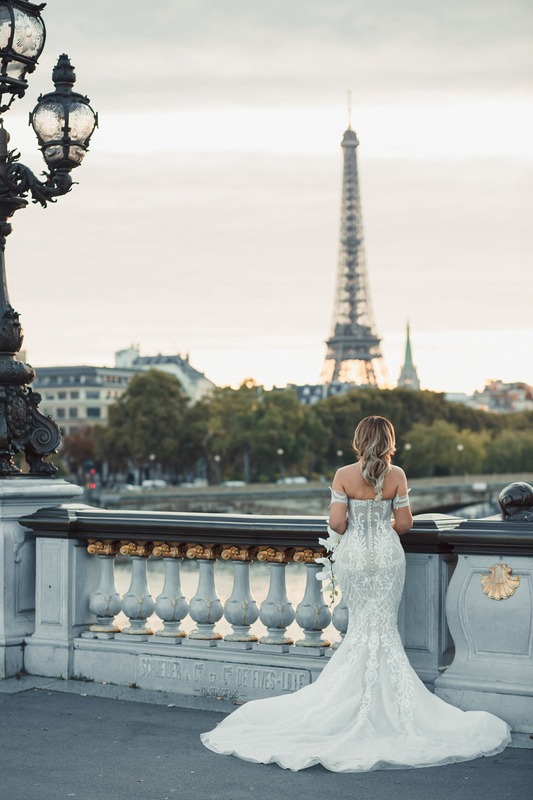 Several vases with bouquets of white flowers including huge bunches of white orchids, along with lanterns on the balcony and a 270° view over Paris completed this fairytale ceremony. 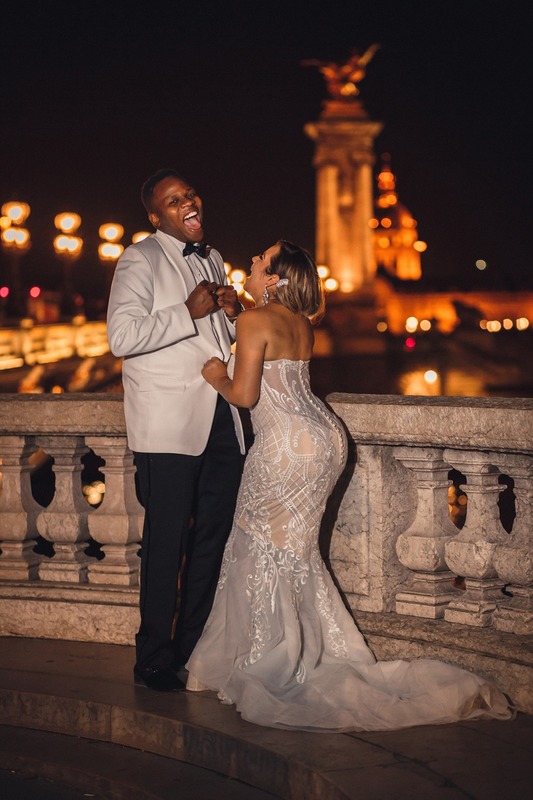 Their perfect day finished with an intimate dinner and dancing at Lapérouse, one of the oldest restaurants in Paris which had a spectacular view of Notre Dame, founded in 1766 (even George and Amal Clooney appreciated it!) 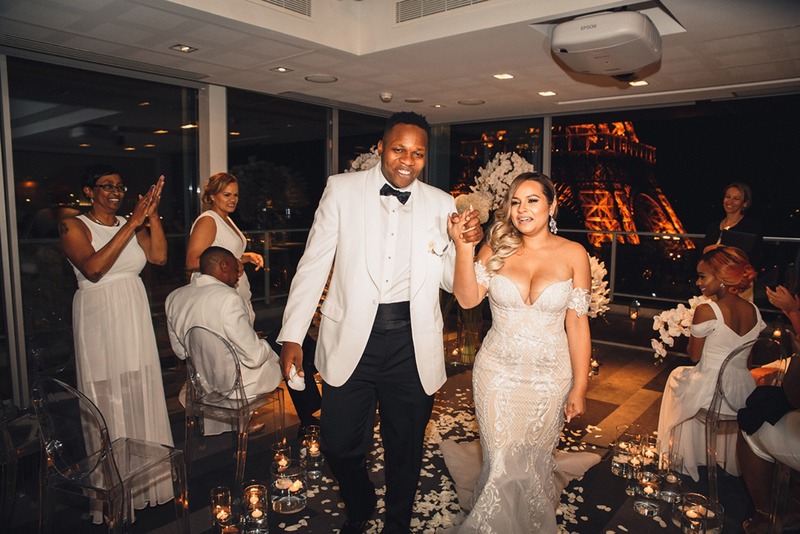 This wedding was this couple’s definition of romance and their dream come true. 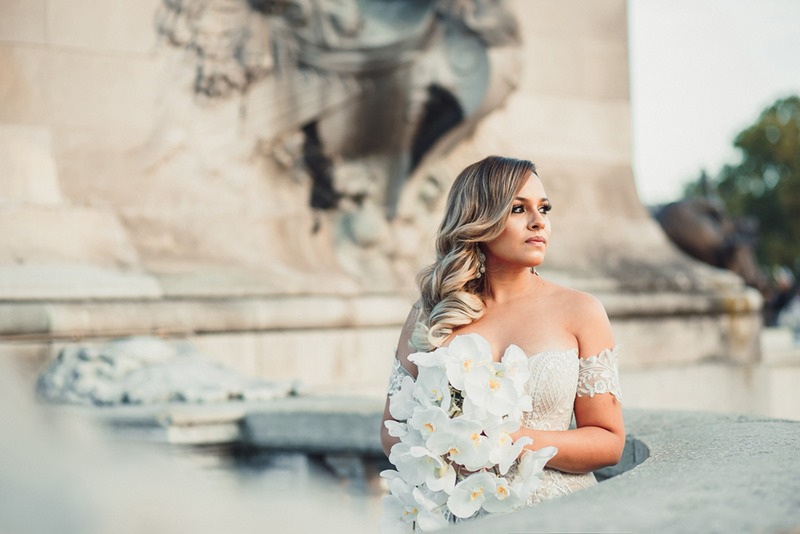 Get a closer look at this dream wedding in Paris wedding by watching the wedding video from Valeriy Rozhdestvensky below.